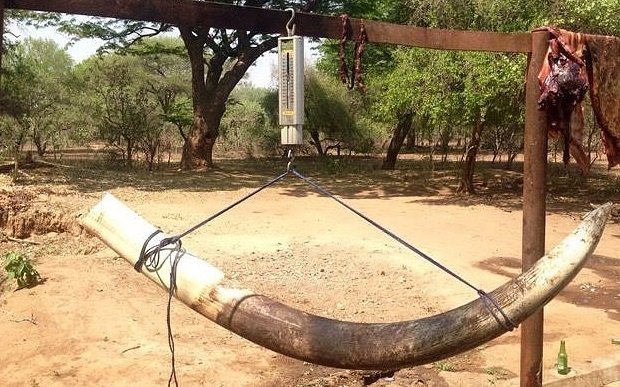 ZIMBABWE – I just returned from Zimbabwe and was appalled to read in Sunday’s Herald that the backward government there had issued another permit and that a large elephant was killed simply for its tusks. It was bad enough that Cecil the Lion was slaughtered by that dentist from the Midwest, and you would think that even the most corrupt government would learn a lesson about conservation and protecting a valuable resource — its animals. Every year hundreds of thousands of people travel to Zimbabwe to view the Zambezi River and the magnificent Victoria Falls. This is a huge economic boost to what is basically a dirty Third World country. However, a country that legitimizes the wanton killing of its wild animals for no reason other than sport does not deserve to be a mecca for tourists. People interested in conservation and punishing a country that is so inherently immoral that it makes money from the murder of its animals need to know that you can see and cruise on the Zambezi River and you can get magnificent views of the falls from the Zambia side. There is no need to travel over the connecting bridge to Zimbabwe and support a patently corrupt administration with tourist dollars. The boycott loss of even half the yearly admission fees collected in Zimbabwe at Victoria Falls would expose the administration and its leadership to harsh criticism and hopefully result in policy changes that would provide a humanitarian view toward the lives of all the animals. Zambia has the modern Livingstone Airport and it is easier to fly there than into the substandard Victoria Falls airfield. Bottom line if you want to see Victoria Falls: Do it from Zambia during the wet season. It will amaze you. Don’t support a pathetic unethical regime in Zimbabwe.